If I come to see you, how long before I start feeling better? Many people begin to feel better after scheduling the first appointment. Knowing that there is a path to feeling better, and that you chose to step onto that path introduces some hopefulness into what can feel like a bleak situation. The second time most clients notice a significant change in how they feel is after a session or two of talking about what has been going on. Why? Most of us struggle and suffer without feeling that anyone really understands what we are up against. In the first couple of sessions we will focus on really clarifying what has been going on, how you have been feeling, and we will make a plan to address it. Feeling understood, and that you are not alone in your efforts, is often the second step in the process of healing. From there the work of therapy continues for varying lengths of time, depending on your particular goals, how long you have been struggling, the complexity of your symptoms, whether you are dealing with hormonal shifts or medical issues, and whether you have additional stressors that happen in the course of treatment. Regardless of how long it takes for you, we know that therapy is effective for helping people feel better and function more effectively. How do I know if I should make an appointment or if this will go away on its own? There are many ways to do psychotherapy and my goal is to tailor what I do to best fit you and your needs. Research has shown that clients get better more quickly if there is clear feedback about the therapy process. To help with this I offer every client the opportunity to complete the Outcome Rating Scale and the Session Rating Scale each session so that we can track your progress and how the therapy process feels to you. Some clients choose not to do this, and that is OK too. In the initial appointment forms I will ask you some questions about your expectations and preferences for how we work together. Your answers are the beginning of our collaboration in creating a therapy that will work for you. If you are feeling bad enough that you are considering seeking therapy it is probably a good idea to do so. While people do sometimes get better without therapy, it usually takes longer. 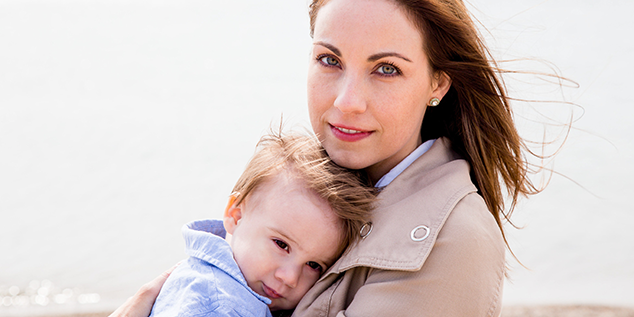 If you are a mama, it is important to know that your mental health has a direct impact on your children’s well being. When mamas get better, babies have the best opportunity thrive. The initial evaluation is 50-60 minutes long. All other sessions are 45 minutes. 60 minute sessions are available if requested. The fee for the first session is $170. All subsequent 45 minute sessions are $135. A 60 minute session is $180. A support group session is $35. Can I use my health insurance to pay for therapy sessions? I am not an In Network provider for insurance, which means that fees must be payed by you in full at the start of each session. If your insurance plan includes Out of Network benefits you may be eligible to have a portion of the fee reimbursed to you directly from the insurance company. I will give you a detailed receipt so you can file a claim with your insurance for this reimbursement. Depending on your insurance I may be able to electronically file the claim for you. Can anyone find out that I have been in therapy? The law protects the relationship between a client and a psychotherapist. This means that by law if you seek counseling services from me I cannot share anything about you or anything you tell me without your written permission. Below are the exceptions to this law, which are situations in which I am mandated by law to disclose information you share with me with or without your permission. I am required to report any suspected abuse or neglect of a child, dependent adult, or elder. I am required to report domestic violence between married partners. If you threaten serious bodily harm to another person, I must notify the police and inform the person you are threatening to harm. If you intend to harm yourself and will not cooperate with a safety plan, I will disclose information to others as needed to ensure your safety. If there is a court order for records or testimony, and efforts to block the subpoena have failed, I must provide the requested information. If the government believes you to be a terrorist and requests access to your records I must comply. There may be times when you want me to share information about you (to your physician, employer, spouse, etc.). I must have your written permission (a completed Authorization to Release/Exchange Confidential Information form) to do this, including what information you wish to be shared and with whom you wish me to share it. What if I have to miss a scheduled therapy session? 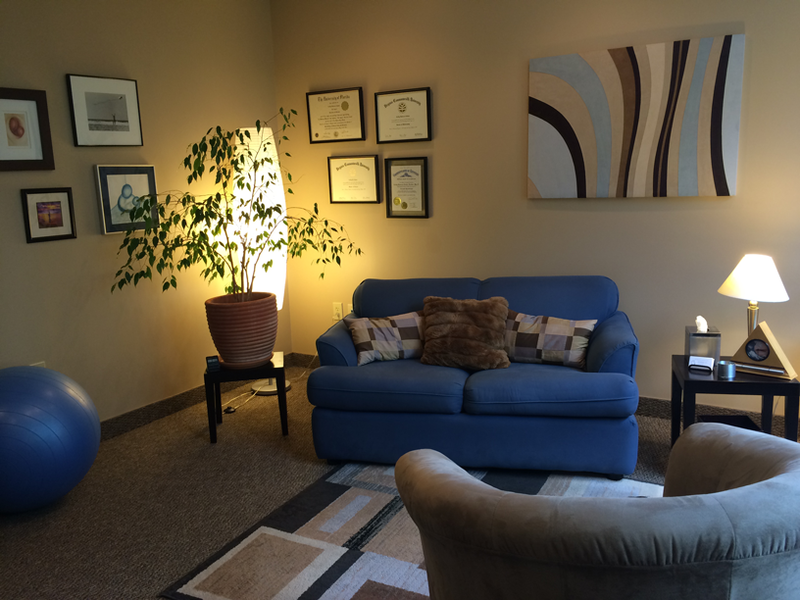 Scheduling a therapy session means time is reserved specifically for you. Therefore, we ask that if you must miss your scheduled appointment you contact the office by phone or text at least 48 hours prior to your appointment. You will be charged the full session fee for any cancellations given with less than 48 hours notice or any missed appointments. This fee is waived if you cancel because you are ill, you must stay home to care for an ill child, you are in labor, or have an emergency. Being called in to work does not constitute an emergency for this purpose. With the understanding that parents of young children have much on their plates, you have the option to receive a text, email, or phone reminder of your appointment 72 hrs in advance. Can I bring my baby with me to sessions? Babies are welcome until they are crawling. Whether you bring your baby should depend in part on whether it would be easier for you to talk about what you need to talk about with or without your baby present. You are encouraged to rock, hold, bounce, feed, change or otherwise care for your baby as need be during your session. As a psychologist, I am not trained to prescribe medication. If I believe that medication is needed for you to reach your therapy goals I will discuss this with you and assist you in obtaining a medication evaluation. If I want medication should I start taking that first or should I start therapy first? The mind and the body are connected, so both medication and psychotherapy can be effective, and are often more effective together. Some of my clients start therapy after medication does not fully resolve their problems. Others seek therapy because they are wanting to avoid medication. Medication does not address the problematic beliefs, emotions, or relationship patterns that may have led to feelings of distress. Medication can, at times, give you increased energy or help you think more clearly so that you can get more out of your time in therapy. Whether or not to take medication is a decision best made in consultation with both your psychologist and your medical doctor. For many people, women who are pregnant or breastfeeding in particular, the decision to either start or stop medication is quite anxiety producing in itself, and making a decision becomes one of the goals of therapy. Can I meet with you if I am not pregnant or newly postpartum? Absolutely. I work with men and women and provide general mental health counseling and psychological services in addition to perinatal mental health services. I often work with women whose children are far past the infant stage. Parents' mental health effects children no matter how old the children are, so it is always a good idea to at minimum come in for a consultation if you are concerned about the way you are feeling.